Breathless kids called at the Vicarage this afternoon. Had I seen the broken window in the church hall? I hadn’t, so I went with them to survey the damage. They don’t know who was responsible, alas. 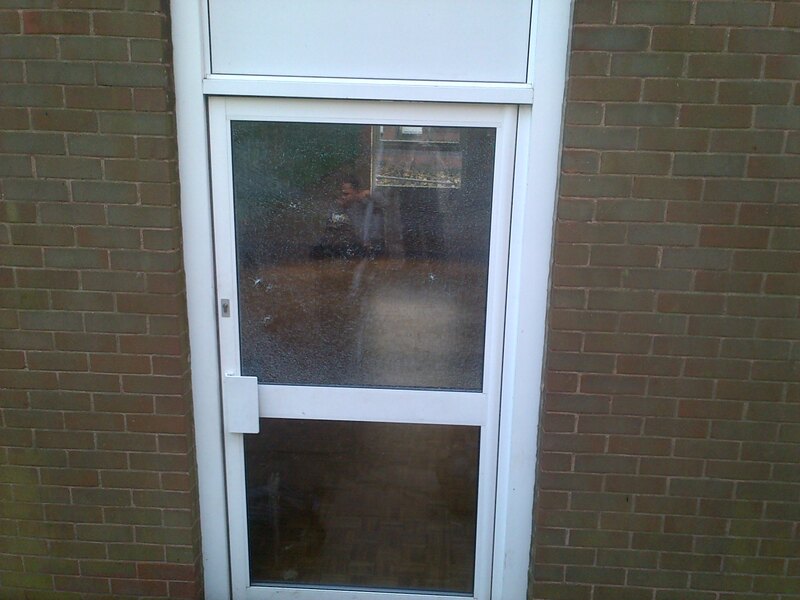 This door which faces the playground has been damaged before – that’s why there’s no glazing above the door now. Looks like someone has been playing a rock-lobbing game. Again. At least it’s more straightforward to deal with than the coat on the roof.